There are tons of photo editing apps on Google Play Store and some of then are very popular amoung editors.In this list you will get one of the best photo editing apps for Android. 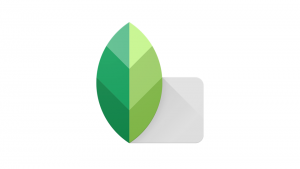 Snapseed is the first and the best photo editing app by Google.If has over 50 million downloads with an awesome rating of 4.5.It has been rated by 777k + peoples on play store and its installed size is 55mb. 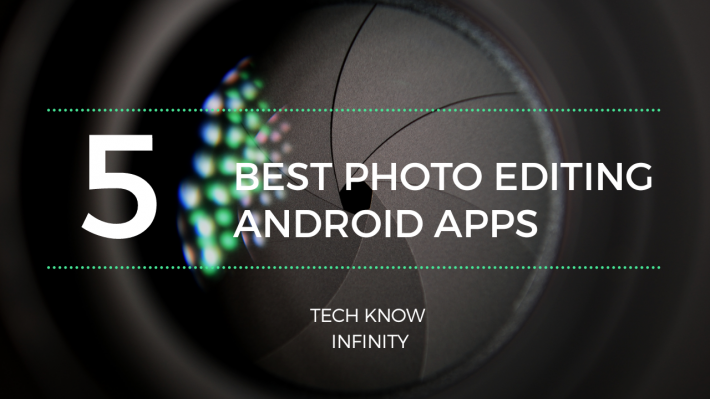 Snapseed is also featuring in the top list of Editors choice. If you want to give your photos a professional look then Snapseed is best in this business. It has tons (29) of tools which help you to make a quality output.Inside you’ll get some stock effects and if you want to edit in your way, you can.After you complete with the tools, you can save your effect and apply of other photos in one click. Snapseed is capable of editing editing RAW (dng) files.It has some dtock effects, crop, rotate, HDR,healing etc. just like other editing app.But there are some useful features that you’ll not get in any editing app like ‘selective’ using this you can edit selected part of your pic, ‘expand’ it will expands you photo according to its background, ‘ details’ it brings surface structure in images, ‘perspective’ it will change photo perspective, ‘ double exposure’ it will blend two photos and ‘face pose’ it will correct you portrait in 3 dimensions. Snapseed will allow to use brush and eraser in every tool you will apply over your image.You can got layers option and select the layer you want and start painting and erasing.It is the best photo editing app for Android. I have been using Snapseed for years and I’ve no complains at all.It is totally offline app and if you want to edit photos like professionals then this is the best Photo editing app for Android in this business. TouchRetouch is the 2nd place in the list of top paid apps.By the name you can guess what kind of app it this.It is retouching and very handy app for photo editors.It is paid on PlayStore but you can download it for free just by doing Google.It has over 100k downloads with excellent 4.5 rating.Its size is 10mb approx. It is a basic photo editing app for Android. But the best feature is in this app is removing unwanted content from photos. Some of us use Photoshop to remove unwanted content from photos.It is not easy for everyone to understand the complicated interface of Photoshop.If you want to remove unwanted content from photos without any complication then this is one of the best photo editing apps for Android you’ll get on playstore. How to remove unwanted concontent Just select object removal option and roughly colour the area you want to remove.Then tap on Go button.After that when you’ll get results you’ll be shocked. It removes unwanted objects with disturbing the pic. It has line removal option for removing wires, earphones wire, etc.It has in-app video tutorials, by watching them you will get lots of information about removal of unwanted content.TouchRetouch is one of the best photo editing apps for Android. Infinite Design is best photo editing app for android or I should say the best vector editing app for android.We all know that what’s the popularity of vectors because everyone wants their photos to vectorize.Some want to upload as channel or page logo.Some wants it for uploading on social media and lots of them aren’t expert in adobe illustrator. So Infinite Design is the best photo editing app because it has very clean and easy understandable interface.Eveny if you don’t know how to use illustrator.It has all the options like pen, lasso, fill, gradient, etc which are required to make vectors.It runs perfectly, I’ve been using it for more than a year and my results are amazing just like illustrator.One can say that my vectors are made from mobile. 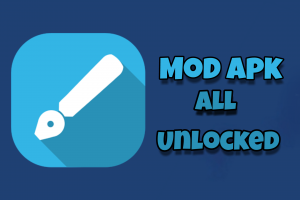 If you want to make vector then this is best app.You can easily download it from play store but after seven days it wil ask for purchasing.You don’t need to do that just download its mod apk and use all brushes and tools lifetime. I also love to make vectors and if you want some then contact me on my Facebook page.You can also place an order on fiverr.com.The cost is 5$ for headshot and it will increase according to your photo details and size. PicsArt it is one of the best photo editing app for android.It’s a Photoshop for mobile because you can do lots of things through app.It has over 100 million downloads and excellent 4.5 rating.You can do any type of editing (like Photoshop) using this app.PicsArt has very clean looking and easily understandable interface.If you are use ng PicsArt for first time you’ll fell little difficult to understand all its features.As you get used to of it, you can do any type of editing just through your mobile. PicsArt has normal effects feature just like other editing apps.But lots if apps don’t have feature to apply effects in the particular place you want instead of whole pic.You can use brush and eraser tool to apply and remove effects. This tool is very helpful because sometimes we want to add effect only on clothes rather than full pic.In this situation this tool becomes handy. PicsArt has separate tool option on menu bar.In this tool option you’ll get some handy tools like adjust,rotate,stretch, disperse, etc.All these tools can be used in many different ways.Stretch tool can be use for making caricature with the help of squeeze and inflate options.Adjust can be used to adjust brightness, contrast, Shadows, hue, saturation, etc. In the separate tool option this app will allow to use brush and eraser as well.In fpic. this app allows you to use brush and eraser tool everywhere in this app which is the best part of this app. I can’t able to describe all details of this app. But I must tell you the best and most highlighted features and “draw” is one of them. By using draw you can do anything to your pic.It has layers option where you can add images or custom draw on your pic.In layers you can use overlay, darken, xor, screen, etc.Which I think is the best part of this app.This ‘draw’ feature will definitely help you to edit your pics like Photoshop in you android device. 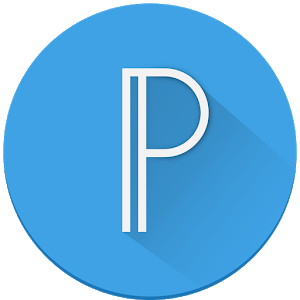 PicsArt has amazing fonts feature.You can purchase fonts or you can add custom fonts as well.It has stickers option where you’ll get all kind of stickers by searching them. Using PicsArt you can also make collage.It has different templates for collage making.You can also make YouTube thumbnails, banner, channel art, or any kind of pic related to social media. I must say it is the best photo editing app for android.Some apps are only for college or drawing or editing but in PicsArt you will get all in one place. Pixellab it the editing app for text not for photos.We all have been seeing some portraits or dark photos on which quotes are written in different styles.These types of photos are available on every social media platform.Lots of people wants to know how they edit text in such a good style then its answer is Pixellab. Pixellab has over 5 million downloads and excellent 4.6 rating.It is the best test editing app for Android. let me tell you why, because it had lots of amazing features.Using Pixellab you can modify your text by adding inner and outer Shadows.Give text a 3D look in just one click and change its alignment in all three directions.Change you photo perspective, blend other photos over your text. Pixellab has its own fonts to kick off or you can add your favourite custom fonts.The feature I like most is removing colour.This will allow to remove any colour in one click.Suppose, if you have and logo or image with one background colour and you want to convert it one PNG then this option becomes handy.You don’t have to outline full logo for extracting it from background.I think you’ll not get any better app on play store for text editing.That’s why it is in the list of best photo editing apps for Android. For more stuff like that visit my youtube channel,don’t forget to subscribe and follow my fb page.